Enjoy the beauty and serenity of our sixty acre farm in the scenic Kettle Moraine, 30 miles west of downtown Milwaukee, just off Interstate 94. We welcome boarders of all ages and horses of all types, but specialize in DRESSAGE and COMBINED TRAINING. Looking for the ideal boarding situation? Hearthstone Farm Inc. is committed to providing the best care possible for your horse and to offering excellent training and education for both you and your equine partner. We strive to provide exceptional service at all times, including those little extras your horse would otherwise miss when you can’t be there. If you are very busy in your non-horse life, we can provide any or all of the attention, services, pampering, and education you would give if you could be at the stable 24/7. This can be included in a comprehensive monthly board fee, or requested on an as-needed, add-on basis. Our regular stall board includes two lessons or three exercise sessions per month, daily turnout, holding your horse for the vet or farrier, blanketing service, and other amenities. 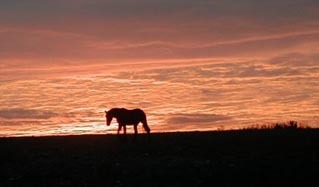 For horses needing extensive turnout, or those owners on a tight budget, we offer pasture board, (geldings only, at this time) with limited amenities. 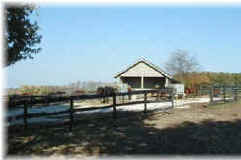 Services are always available as an add-on and a stall will be provided if your horse should need one temporarily. Superior veterinary and farrier care is routine. We also have an outstanding professional support crew to assist with equine massage, chiropractic, advanced dentistry, blanket laundry and repair, tack fitting, etc. We welcome your visit to our stable at any time, but calling for an appointment will insure a knowledgeable person is free to give you a tour and answer questions.